On August 18, 1992, exactly 25 years ago, the first milk from the Lely Astronaut flowed into the milk tank, marking an important step in robotic milking for farms all over the world. This meant that an entire generation of dairy farmers would grow up with this form of dairy automation and all the benefits they brought. We would like to celebrate this milestone with you by offering a special anniversary promotion. At the event, several generations of dairy farmers, sons/daughters and fathers/mothers spoke with us, and each other, about the future of the dairy business and what it will bring for future generations. Going forward, we will initiate this dialogue in various ways and discuss the future of the dairy farm with you. 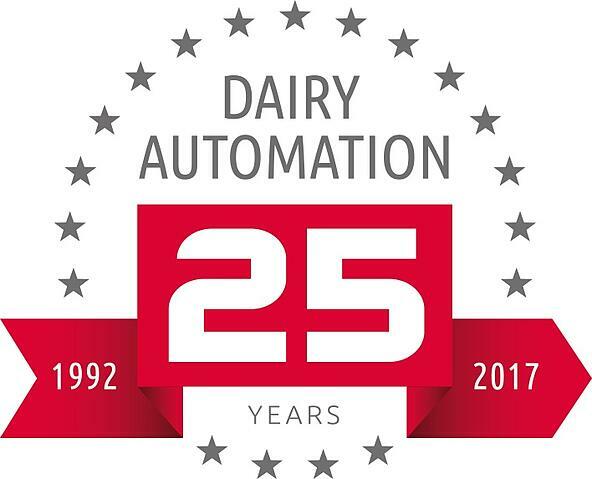 To celebrate 25 years of robotic milking across the United States and Canada, now through December 31, 2017, dairy producers will enjoy a $3,000 factory rebate on the purchase of a new Astronaut milking robot. Lely is also offering a 3-2-1 25-Year Giveaway until November 30, 2017, with no purchase necessary to enter. Lastly, A4 Astronauts will host a limited-edition 25 Years of Dairy Automation decal to celebrate the milestone the balance of 2017. We support dairy farmers in making choices for themselves and their farm. In addition to purchasing a Lely Astronaut, a dairy farmer also has the opportunity to take advantage of 25 years of knowledge and expertise that have contributed to our continuous improvements with the cow in mind. These improvements have facilitated a low-stress milking experience for the cows and helped our customers become more efficient. For example, the I-flow concept allows cows to walk straight in and out of the box. Another enhancement is the introduction of the T4C InHerd app that allows dairy farmers to manage their herd from anywhere. Each generation has its own set of specific challenges, and builds upon tradition and experience to handle them. This also applies to dairy farmers who are modern business managers searching for a balance between what needs to be retained and what needs to be modernized. These are challenges each generation faces and where we focus our innovative efforts.